The Fort at Joseph Edwards's land grant represents a very important mid-eighteenth century Virginia frontier archaeological site. It is both the homestead of a prominent early settler of Hampshire County (now West Virginia's oldest county), and the site of a frontier fort of the French and Indian War. There are very few early frontier sites of this era in either Virginia or West Virginia now being interpreted for the public. There are even fewer fort sites that are precisely known; ours is the only one owned by a foundation committed to preservation, study and interpretation. Although nationally there are many French and Indian War fort sites now open to the public, these sites are, for the most part, related to British garrisons and campaigns or to the French military. There were no regular British soldiers garrisoned on the Virginia frontier, so there are not the usual archival materials to give us a picture of what existed at any Virginia site. Designs and narrative descriptions of most major forts exist in libraries and archives. Our design is a secret that has lain buried for over two centuries. This makes the Fort Edwards site a unique opportunity to learn about and interpret a colonial fort and the associated colonial military life and campaigns. Because of the uniqueness of this site, The Fort Edwards Foundation is committed to completing extensive investigations. Although The Foundation's resources are very limited, we recognize the importance of getting the most professional assistance available to preserve, protect and interpret our site. Therefore, several years ago we developed a Comprehensive Site Resource Management Plan. Part of the plan called for extensive exploration of the site. The site of Joseph Edwards's fort had lain undisturbed for over 200 years except for the farming of the site. However, in the last decade of the twentieth century it faced a modern hazzard - development. A developer had bought the land and had plans for a 70 unit townhouse development. 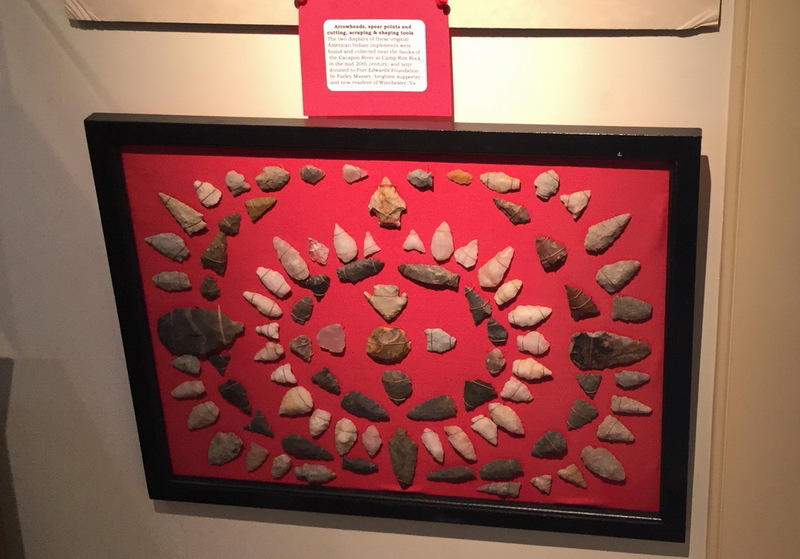 In order to encourage preservation of this important site a small grant was secured to do a brief archaeological investigation to see if the location of the fort site could be documented. Dr. Bill Gardner of Thunderbird Research Corp. who had a personal interest in the colonial forts of Virginia, graciously agreed to undertake a quick investigation. [See first three photos in the archaeology photo gallery] Fortunately, on the third and last day of his work the trash pit was discovered that revealed artifacts verifying mid-eighteenth century occupation and some post molds were found. In light of this evidence the developer set aside two and a half acres to protect the fort site. Fortunately, he was unable to get all the services he needed for a development, so the site again went on the market. In 1995 The Fort Edwards Foundation was founded with the sole purpose of buying and protecting the site. In May 2001, The Foundation started more extensive archaeological investigation of the site. The work was carried on under the direction of Dr. Stephen McBride of Wilbur Smith Associates. Dr. McBride has extensive experience with later frontier forts of West Virginia having done an inventory of the Greenbrier Valley forts and having worked at Fort Arbuckle and Logan's fort. The dig uncovered over six thousand artifacts and about fifty features, including a stockade wall segment with an in-wall bastion. Unfortunately, the investigation did not discover the entire outline of the fort. In fact, we came to the conclusion that information will probably come only after far more extensive work. In September 2004 The Foundation contracted with Dr. McBride to do a second dig in October. The goal of the first dig was primarily to find the complete outline of the fort. We were not successful in doing that for several reasons. The goal of this second dig is to do more critical investigation of the features we have already found but not fully understood, rather than to find more features. The first dig found over fifty features, but we were not able to determine what many of them were. The search for the fort outline did not leave us much time to evaluate each feature we found. The 2004 dig is to take the time to go back and look at these features including the two foundations and analyze them more fully. The October 2004 dig exceeded our expectations; it discovered a second bastion that gives a unique and interesting imprint to our fort. It also found what may be the Edwards's house site. Other features were discovered and some formerly discovered features were restudied; our understanding of many of these features is still inconclusive. See the reports listed above for a detailed account of the dig. See the Dig Summary for an artist's conception of what our stockade wall looked like. Although we will not get the final report and have all the artifacts in hand until after Christmas or later, we hope to have a few items to put on display in our current exhibit. There will be some photographs of the work available for viewing. However, it will be next year before we have a full display of the artifacts that will be unearthed in October. The daily reports that we put on this web site will be the best source of information available on the dig. Please check each day for reports! The Fort Edwards Foundation expects to continue studying the site. It is hoped that we will be able to secure funding to have archaeology projects on site every few years. The investigation of this unique site will take many years to complete. Please check back occassionally to find out about upcoming projects. The trenches and pits have now been covered. All areas that were investigated have been protected for future reinvestigation. No one will be allowed on the site unless escorted by a Foundation official. We ask your assistance in protecting the site. This site is registered with the West Virginia State Archaeologist and is protected by state law. Any unauthorized person found on the site may be prosecuted for trespass.